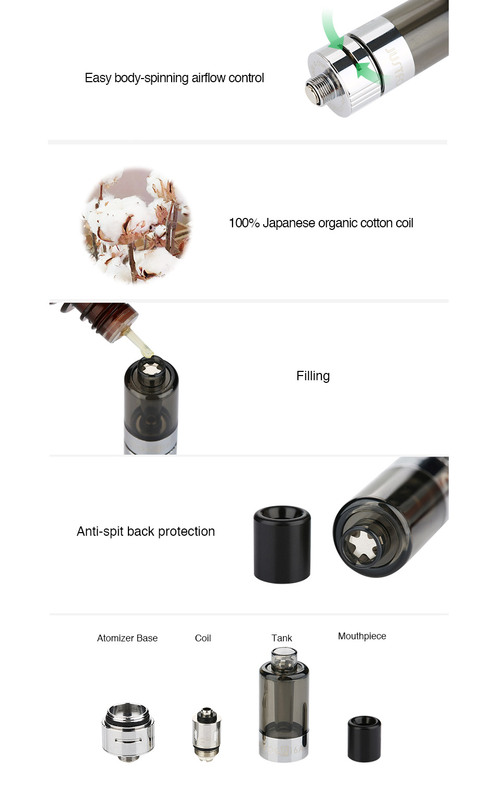 Justfog P16A Clearomizer uses Japanese organic cotton coils. The product offers great compatiblity with most batteries offered in the market regardless of the connection types or voltage values. Japanese organic cotton combines with great atomizer design, offering a pure flavor with no dry hits and makes your vaping experience more enjoyable.